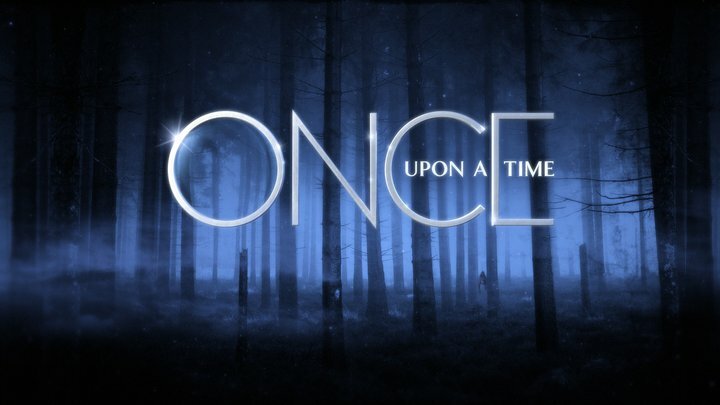 After having been somewhat positively disposed towards ABC’s Once Upon A Time when it first premiered, I found myself steadily losing interest as we got deeper into the season. Partially it was a continually full queue of programming and catch-up projects as we headed for the end of the year, but also because the little things that bothered me in the early going kept not improving. I still enjoyed the performances and occasionally parts of the story, but I found less and less to keep it appointment viewing as time went on and finally jettisoned it after the eighth episode. But Monday night, there was nothing in my Sunday drama backlog – having already seen the Luck pilot during its 2011 sneak peek – so I thought it couldn’t hurt to give the newest episode “Fruit of the Poisonous Tree” a shot to unwind. Plus, this was the episode centered on the Chicken Man himself, Giancarlo Esposito, so it had a natural appeal that worked past my general apathy for the programming. I thought it would be mostly harmless, and figured if any episode would be able to reawaken my positive feelings towards the show it would be this one. Did it? Short answer: no. Long answer? Well, let’s just say there were a lot of tweets like this one going out during viewing. But in a way, I suppose I should thank “Fruit of the Poisonous Tree” for being as bad as I found it for two reasons. First of all, it ensured that I’ll never watch another episode of this show again; and secondly, it served as a checklist for the many things Once Upon A Time does that I find so immensely frustrating. Unlike its NBC cohort Grimm, where I really do believe some simple tightening up of the overarching story and supernatural world would elevate it from second-tier, Once Upon A Time has flaws so deeply ingrained I don’t believe the show’s ever going to get better than what it is. Let’s begin with the most obvious problem the show has: the writing is terrible. I don’t mean to belittle the prior accomplishments of Edward Kitsis & Adam Horowitz, Liz Tigelaar or Jane Espenson,* but there’s no other way to say it. It lacks any subtlety in its presentation, spelling out its themes in speeches that are delivered so self-seriously they cross the line into goofy. This episode’s theme of “all actions have consequences” was hammered into the viewer with every decision made by the characters. Emma weighs the concept of going against Regina with dirty tricks because of what Henry will think, while Mary Margaret continues her affair with James and stammers over her rationalization. In the fairy tale world, the Genie of the Lamp is freed with a wish** and given one himself, only to never use it because he’s seen all the ways they fail… until he uses it anyway. Every episode, the show clearly has an idea it wants to hit, and just piles on the references until it’s sure you got the point. *Okay, we can still belittle the execrable Torchwood: Miracle Day. **Resolving in 30 seconds what it took Disney’s Aladdin almost 90 minutes to achieve. Groan. In many ways, the show’s increasingly messy attitude toward its big picture is starting to remind me of a show from last year I absolutely despised, FX’s American Horror Story. AHS failed for me for a lot of reasons, but one of the biggest is that it kept incorporating horror elements and scare tactics one after the other, to the point that it lost sight of why any of those elements worked in context. Similarly, I’m noticing that Once Upon A Time‘s desire to include absolutely every fairy tale they can think of is completely ruining its ability to tell a coherent story, or even care about the individual elements I like. This episode in particular was an egregious example of it, thanks to how they decided to explain the past of the Magic Mirror. Yes, I can buy that the Magic Mirror was once a magical being in love with the Evil Queen, and I can buy that his affection would be what damned him to imprisonment and break his cardinal rule about a wish. But when you ask me to believe he was also the Genie of the Lamp, a being from a completely different fantasy realm? And that the person who frees him is the father of Snow White? And they just happened to find each other on the same beach? You’ve crossed the realm from creative license to simply inbreeding your fables. You’re also not earning any points by casting Giancarlo Esposito as that genie and dressing him in an outfit better suited to an organ grinder monkey, which gets to my second point: this show has a remarkable cast and squanders them to a fault. He’s clearly trying his best here, but so much of it feels underplayed – the opening scene between him and Richard Schiff’s King Leopold played like a bad middle school Shakespeare play. I’m willing to admit that Breaking Bad has raised expectations about what material Esposito should be given, but the Genie just had no character to speak of and was impossible to take seriously. His real-world version was much more believable though as a man who seemingly lost everything, and credit to him for pulling out Gus’s poker face to try keeping viewers in the dark. And this isn’t a new thing either, as we’ve seen with every character who’s been given a spotlight episode. 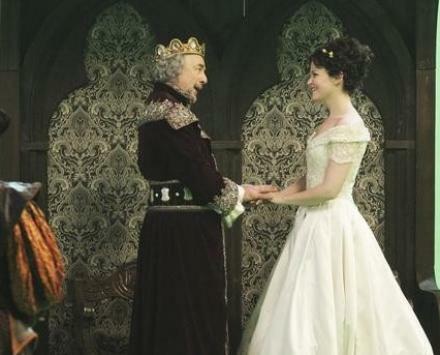 Josh Dallas, Ginnifer Goodwin, Jamie Dornan, Raphael Sbarge and particularly Robert Carlyle have done a competent job handling both real and fantasy sides of their characters, but you can’t take any of their character growth seriously when they telegraph every one of their moves in their words and gestures (and the equally unsubtle music cues). The central conflict at the show has also been stalling for weeks: once again Morrison had nothing to play save stony glares directed at Parilla when she got between her and Henry*, and Parilla could only offer lines that were so cliché “I’m the all-powerful villain and I want you to know it” groaning is the only conscious reaction. *Oddly enough, the thing I hated the most about the first few episodes, namely the Henry character and Jared Gilmore’s acting, has been somewhat subdued as the show’s gone on. He was absolutely intolerable in the fifth episode where his explanation for believing in the fairy tale world was along the lines of “There has to be more than this” and since then he seems to have only had a scene or two per episode. I still don’t like him, but the hate has either cooled or spread to many other targets. And of course we should touch on the obvious: for all its lavish decoration and aspirations of epicness, this show is starting to look really cheap. Abuse of the green screen seems to be endemic to ABC these days (Revenge has been particularly laughable) and the grandeur of the castle was sorely lacking. The costumes seem like they were taken from The Borgias‘ scrap pile, and the production team also continues to be incapable of rendering any animal – bad CGI deer and worse CGI dragons were joined by a pair of unbelievably fake snakes. I know network drama doesn’t have the funds cable does, but for how well it’s doing in the ratings you think they’d throw it a bone. Once Upon A Time has remained a hit for ABC as time’s gone on, and it’s certain to be renewed – but for the life of me I don’t understand why. I tried to defend it as being somewhat escapist when compared to the more serious dramas on Sunday nights, even as I said it was “kind of horrible,” but this episode just highlighted the fact that it’s losing whatever made it fun and completely deserves to lose the “kind of” qualifier. If you can’t pull out of the skid after 11 episodes – or make even a passable episode centered around one of 2011’s best actors – you don’t deserve my attention. This episode also apparently included a character called “The Stranger” who now has possession of Henry’s magic book, but since I haven’t seen the last two episodes where he was introduced I’ll refrain from comment. Short answer, he bores me and seems to have no reason to be in the show. Okay, the title of the show – referring to both the Evil Queen’s apples and a term for evidence obtained illegally – is kind of clever. I’ll give them that much. This entry was posted in TV Criticism and tagged ABC, Aladdin, Breaking Bad, Emma Swan, episode review, Evil Queen, Fruit of the Poisonous Tree, Genie of the Lamp, Giancarlo Esposito, Grimm, Jennifer Morrison, King Leopold, Lana Parilla, Once Upon A Time, Revenge, Richard Schiff, Snow White. Bookmark the permalink.